Glad I got to see you for lunch - your a busy woman! Dpn't know what about all of this sounds better. It's all wonderful. But I am thinking about going with first time trying on her dress. A moment to remember for sure! Glad your mom is there to share it all with you. Enjoy the conference! Wow, you sure have been busy! Belated birthday wishes to your hubs. His birthday must be close to mine (Aug 30). Very nice boat too. Do you travel very far with it? It's on the ocean? I'm so excited about the fitting! I can't help it. It doesn't have to be one of my daughters to get me all teary. Good teary. Happy Birthday to your hubby! And happy hugs all around! Oh, can't wait to hear what you think about the Women of Faith conference. I've been to one and it's a whole bunch of women for sure! I can only imagine your thoughts when your daughter tried on her dress. It was such a "moment" for me. What a lovely weekend and such excitement for the "try on"... I have fond memories of doing it with Katy. I went to a Woman of Faith event in Atlanta several years back and had an amazing time! Enjoy!! Sounds like all good stuff! Happy Birthday to your Hubs! You are next! Have a wonderful time with your Mama!!! I am going to an outside wedding this afternoon and it looks like it's going to storm :/ hopefully not! A wonderful post, full of such love and fun! Hope you had fun, fun, fun with your mama at the WoF event! I haven't done a WoF event in several years and would love to go to one ... wonder where would be the closest? Awww ... the first try on! How exciting! And happy belated birthday to your hubby! Your fragments are delightful; a nice little slice of Americana and a very exciting event to be part of. Happy times.... Thanks for linking up. Have a great week. Sounds like a perfect birthday celebration for hubby!!! 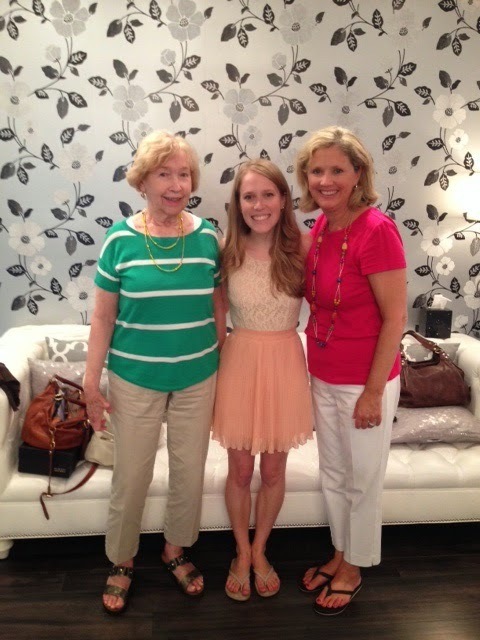 How wonderful to be able to take your mom to the first fitting. What a special moment for all of you. Hope you had a wonderful time at the conference. They are always so motivational and I love the closeness we feel with God when we attend them.